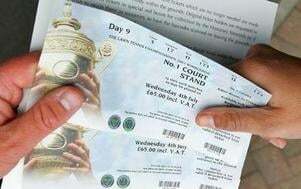 Twelve lucky members of Rainford Tennis Club have won tickets in this year’s Wimbledon ticket ballot. As part of the many benefits the Club receives each year from affiliating to the LTA, we receive an allocation of tickets for our members. The number of tickets we received is based on the number of people we have registered with British Tennis Membership, which has been extremely popular at Rainford Tennis Club. The ballot took place at the Club on Friday 7th May and the first twelve names out of the hat will be attending The Championships at Wimbledon, which start on Monday 21st June, with tickets for Centre Court, No 1 Court and No 2 Court.